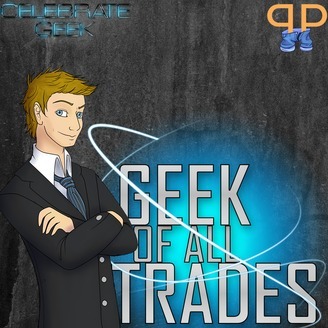 The Geek Of All Trades podcast from Celebrate Geek, brought to you by Pants Pending Studios is a comedy interview show centered around finding the Geek in everyone. 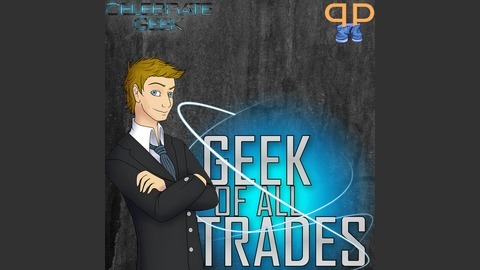 Our host, Andrew, brings in Geeks from all walks of life to sit down and answer some questions. Everyone geeks about something, and in each show we get to learn that geek means so much more than comics, toys, and games! Come geek out with every kind of geek under the sun, and enjoy the shows we even wrangle up some professional geeks! Like Authors, Actors, Musicians, Artists, Comedians, and more.